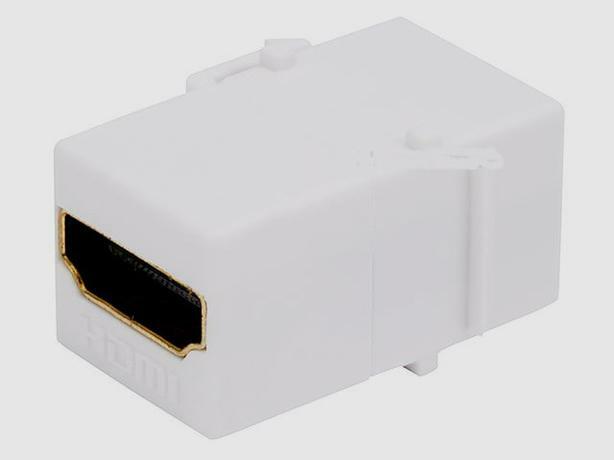 Include an HDMI® connection in your custom audio-video wall plate using this HDMI Coupler Keystone Jack. This keystone jack is designed to fit any standard keystone wall plate. It features a gold-plated female connector on each end, allowing you run a CL2/In-wall rated HDMI cable through the wall. This keystone has no effect on the signal and therefore supports all High Speed HDMI features, including 3D video, 4K video, and high-definition multichannel compressed audio.